Cosmetic dental care is the term coined for the facet of dentistry that is solely focused on optimising the aesthetic nature of the smile to make it more appealing and beautiful. By using a wide range of cosmetic dental treatments, at Evans Dental on the Gold Coast we can help you achieve that radiant, beautiful smile you have always dreamed of. How can you help make my smile beautiful? Did you know every day people are judging you on the way you look? It’s true – and they are basing their first impressions on how you hold yourself, how confident you are, your demeanour and the look of your smile. It has been found that a beautiful smile can help you achieve a job placement, pay rise and even a second date, so why leave your smile to chance? It is important not to be tempted by over-the-counter tooth whitening products or tooth whitening offered by an unqualified business or person. This is because sometimes tooth discolouration could be caused by an infection or damage inside the tooth, which would render any tooth whitening treatment useless! Our qualified dental professionals are trained to discover the source of your tooth discolouration in order to recommend the most appropriate treatment so you can benefit from a beautiful, whiter and healthier smile. Do you want a total smile rejuvenation without the need for extended dental treatment? Porcelain veneers offer a fast, simple and effective way to conceal gaps, discolouration, gummy smiles, chips and cracks for a more balanced and harmonious dental aesthetic. This is done by creating veneers from very thin porcelain shells, and adhering these to your teeth that are exposed when smiling. By doing so we can create a completely new smile and balance your facial features for an overall enhanced aesthetic. The best thing is, veneers are stain resistant and with good care should last up to 10 years! Crowns and bridges are effective for ensuring the structural integrity of a severely broken or chipped tooth. When a tooth is weak due to decay, disease or a root canal treatment a dental crown is a great way to ensure the strength of the tooth without the need for extraction. For missing teeth we are able to utilise dental implants which are small titanium rods that are surgically inserted into your jawbone material. Over a period of months the jawbone will effectively fuse with the implant for a strong and powerful tooth root alternative. For more information on our cosmetic dental treatments or to book an appointment at our Gold Coast dental practice, please do not hesitate to contact us. Don’t Let Your Dental Anxiety Get The Best Of You! Dental anxiety or phobia is a very common fear of the dentist, and affects millions of Australians every year. With extreme nervousness comes avoidance, and dental avoidance means neglect! While some do not visit the dentist because of their busy schedules, financial situation or simply because they feel their smiles are fine, others want to visit the dentist but cannot – due to a crippling dental phobia. This fear is apparent in approximately 16% of Australian adults, with research demonstrating that dental fear is not only directly linked to poor oral health, but also to reduced visits to the dentist, according to the Australian Dental Journal. Avoiding dental care for extensive periods of time means there is no one to assess your condition and prevent any issues from occurring. Instead, a combination of dental issues can compound and result in periodontal (gum) disease or even tooth loss! This is why, even if you suffer from dental anxiety, it is important to visit our dental practice every six months, so our dental professionals can effectively clean your smile and diagnose any issues early before they become problematic. If you experience dental fear or anxiety and this has prevented you from visiting the dentist to receive the dental care you need, at Evans Dental in Mermaid Beach we have your solution! We like to ensure our patients’ total comfort during their procedures, and to ensure they feel relaxed we are able to utilise IV Sedation. By using conscious sedation, we are able to administer complex dental treatments without triggering nervousness, anxiety or fear. Instead, those who opt for IV Sedation will feel a deep sense of relaxation and will not feel as much pain – while still able to understand and respond to requests from their dental professional. Even better, your treatment will seem like it takes much less time! Some of our patients have been surprised when their treatment is complete, telling us it felt like just a few minutes! Our friendly and comforting team are always ready to make your experience as smooth and pain-free as possible, and we use a feather-light touch to help ensure total comfort throughout your treatment. At Evans Dental we believe in providing an unsurpassed level of care to our patients, and do this by ensuring upmost comfort, total information and a transparent process so all our patients understand what each treatment involves. To discover more about IV Sedation or to book an appointment at our Mermaid Beach dental practice, please don’t hesitate to contact us. Getting your children to partake willingly in healthy dental practice can be a chore at times. That’s why Evan’s dental is dedicated to providing the best in quality children’s dental care, and because of this we’d love to help you kick start your child’s healthy teeth regime. Leading by example is an important method of introducing your kids to dental hygiene. Instead of telling them it’s time to brush your teeth, you should make an effort to brush your teeth with them so that they don’t feel like they’re being forced to brush while you watch and wait for them to finish brushing. Encourage your kids to brush their teeth at least twice a day and limit their sugar intake to ensure their teeth are growing to their most optimum potential. While milk is a vital source of calcium in the body, it is suggested that you limit your child’s intake of milk unless they’re a newborn. Fruit juices and human breast milk as well as other milks can cause decay, so it’s important to give your child water during the day as well as their required amount of milk. This helps cleanse the teeth and ensures the optimum growth and development. Here at our clinic in Mermaid beach we offer children’s dentistry as a component of our family dentistry approach. It is important for your child to build a relationship with their dentist from a young age so that they are confident when going to the dentist and are not nervous or scared later in life. This relationship builds the foundations for your child’s oral health and develops their respect for dentistry and oral health through trust, education and compassion. If your child suffers from fear of the dentist we recommend booking a joint appointment, where you as the adult will see the dentist first, followed by your child. This is not only convenient but it also ensures that your child understands that seeing the dentist is a necessity and that it isn’t something to be afraid of. If your child’s fear is edging on phobia talk to one of us at our Mermaid beach practice so that we can discuss IV sedation options as well as other relaxation techniques. IV sedation is also offered for adults so if you also suffer from dental phobia please do not hesitate to contact one of our understanding and empathetic dentists. Choosing to avoid your dental appointments is a dangerous choice which can detriment the health of your teeth as well as your child’s as they will most likely follow suit. Evan’s Dental has years of experience treating children and adults alike. We aim to provide a comfortable and caring environment for all of our patients, young or old and we are dedicated to the health of your teeth and dental hygiene. If you would like to find out more about dental hygiene for your children, IV sedation or many of our other treatments please visit Evan’s Dental at our Mermaid Beach clinic or contact us here. We know that a lot of people come to the beach for relaxation, that’s why here at Evans Dental we want to make you as comfortable as possible when visiting our practice in Mermaid Beach. Does going to the dentist make you nauseous? Or does the thought of needles and drills make you faint? Here at Evans Dental, Mermaid Beach we offer Intravenous Conscious Sedation to make your time at the dentist just as comfortable and relaxing as taking a nap. This commonly affects people who are having a treatment they’ve never experienced before. It is more commonly known as fear of the unknown and it generally affects people who experience anxiety in other parts of life as well. Fear of the dentist is the most common as it’s referred to as someone who has experienced the treatment before and is fearing doing it again. This fear may occur because they have embellished their last experience at the dentist negatively in their mind or they had a bad experience. A phobia is defined as an irrational fear of the dentist. This is the worst of the three and can result in the sufferer avoiding the dentist for long periods of time – even years – which can detrimentally affect their oral health. Someone who has dental phobia will avoid the dentist at all costs even if that means enduring pain. Intravenous Conscious Sedation is a form of IV sedation which involves an anti-anxiety drug being administered through the arm. You will remain conscious during your procedure however your pain and nervousness will be numbed by the anti-anxiety medication as well as local anaesthetic. Why do I have to be conscious? As Intravenous Conscious Sedation takes you into a realm of deep relaxation you will no longer be fearful of your procedure. The fact that you are conscious allows your dentist at Evans Dental, Mermaid Beach to engage with you about your procedure and allows you to respond to any requests which they might be have. Here at Evans Dental, Mermaid Beach we’re extremely concerned with your safety and comfort that’s why we only offer the most trusted procedures. All of our specially-trained dentists will be more than happy to cater to your needs, however, pregnant women, intoxicated people, glaucoma sufferers, people with CNS depression or people allergic to benzodiazepines must consult with one of our dentists before they are permitted to undergo the IV sedation option. Even if you’re not permitted Evans Dental will still make sure your dental experience is a positive and calm one through our kind staff and blissful surroundings. At Evans Dental our dedicated staff of dentists are here to make sure that your smile is as healthy and natural looking as you desire while making you feel comfortable. It is our aim to give each patient from start to finish friendly and relaxing dental care to ensure you get the best smile. If you would like to know more about Intravenous Conscious Sedation or know more about our cosmetic procedures, book an appointment online or contact us. Have you got missing teeth? Are you worried about gum disease? Well, you should be. If you’ve got missing teeth, it can lead to numerous other health problems. And not just oral health issues either. The combination of weakened jaw and missing teeth will give your face that sunken, sallow appearance. When you start to develop gum disease and a weakening of the jawbone other health issues arise, such as heart attacks, stroke, diabetes and potentially cancer. So, by looking after your teeth you are in fact looking after the rest of the body. How does poor oral hygiene lead to problems such as heart attacks, strokes and cancer? Two factors: bad bacteria and inflammation. Because missing teeth tend to be a breeding ground for bad bacteria, it is more likely for those with missing teeth to develop poor oral health and periodontal disease. This inflammation caused by gum disease can then travel through your bloodstream and into the rest of your body, which can cause distress in many fundamental areas. These can then wind up in parts of the body where they can do far more damage than tooth loss. Dental implants involve a screw that is inserted into your jaw, then the prosthetic tooth is attached to the screw and you have a brand new tooth. This process does take some time because your jaw and the implant need to fuse before the prosthetic tooth is attached to the implant. Once the implant is complete you won’t even notice that it’s a prosthetic tooth; one of the aesthetic benefits of dental implants is that you won’t even know the difference. When you run your tongue along your teeth it’ll be indistinguishable. Whether it’s one tooth or all your missing teeth our skilled dentists can help get you back your fully functioning and beautiful smile again. At Evans Dental the procedure usually takes 3 visits: however, if circumstances permit it possible that we might be able to replace the tooth in one visit. And with your dental implants not only will you have a strong, natural looking replacement tooth, but with regular brushing and flossing a dental implant can last a lifetime! At Evans Dental our dedicated staff of dentists are here to make sure that your smile is as healthy and natural looking as you desire. It is our aim to give each patient from start to finish friendly dental care to ensure you get the best smile. With our range of cosmetic dentistry you will be able to leave our practice with a toothy grin full of self-confidence! 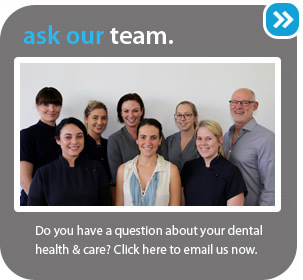 For more information on our dental implant treatment, or to book an appointment at our conveniently located dental clinic in Mermaid Beach, please do to hesitate to contact us. Put an End to Dental Fears! If you are avoiding dental treatment because of the thought of potential pain, now you no longer need to worry! With the advancement of dental technology we can now offer anxious patients sedation dentistry. IV Sedation dentistry gives massive relief from anxiety and leaves you with no memory of the procedure. More importantly, it is a safe and effective method of sedation. It is our aim that our patients are provided with an enjoyable, personal and memorable experience as possible. Our team of caring dental professionals takes pleasure in offering our patients the latest in quality dental treatments in a safe, friendly environment. IV sedation is injected into the arm during a dental procedure. During IV sedation you are conscious, however you will feel really relaxed and the whole process will be noticeably less painful. An added bonus is that it will feel as though the procedure took no time at all. Under the careful supervision of a trained dentist IV sedation is extremely safe, however it is important to let your dentist know of any preexisting medical conditions, allergies or current medication as these can affect the IV dosage. If you are unhappy with your smile we at Evans Dental on the Gold Coast can help improve the overall look of your mouth, which can in-turn improve your self-image and improve your overall health. It is essential for the overall health of your mouth to replace lost teeth. If gaps in the mouth are left alone, the teeth on either side of the gap will attempt to cover it. Also, tooth loss also causes bone where the roots were to dissolve, adversely affecting your jawbone. With IV sedation getting those much needed dental implants will now seem a less daunting task. Crowns and Bridges can restore your smile. Crowns are designed to increase or restore the strength and durability of the tooth. Crowns also enhance the aesthetics and function of your teeth and are a safe and effective option for repairing your smile. Bridges allow the dentist to replace missing teeth with false teeth by using an implant or denture. Although IV sedation may not be used for a crown it can be used for the insertion of an implant. Nitrous oxide, or more commonly known as laughing gas, is a milder form of sedation than IV sedation. Whereas IV is intravenous, laughing gas is inhaled with oxygen: it is a mild sedative and leaves the patient deeply relaxed. If a patient has an issue with needles, it may be possible to administer the laughing gas before the needle. This is the one that very rarely is used in dentistry. If it is, the procedure would have to be extreme, no cosmetic surgery or dental implant would require this form of sedation. If, however, it were to be used, it general requires a stay in the hospital. For more information on sedation dentistry, or to book an appointment please do not hesitate to contact us. Man Strong Enough to Balance 23 Benches… on his Teeth! Chinaman Li Hongxiao managed to balance 23 benches on his teeth in the air for 11 seconds the collective weight of the benches was 70kgs! Wish your teeth were strong enough to lift that kind of weight with confidence? Crowns – Dental crowns are used to increase strength and stability of the tooth. Bridges – Bridges are used to replace one or more missing teeth and are able to help eliminate various problems that may occur when you lose your natural teeth. Implants – Dental implants offer improved stability, reduce irritation and can improve speech for those patients unfortunate enough to have lost teeth. At Evens Dental in Mermaid Beach our goal is to educate our clients on ways to prevent tooth decay and gum disease and to find problems when they are in their infancy so we can treat them more effectively and with better chance of a positive result. For more information on any of our dental treatments or to book an appointment at our Mermaid Beach practice please do not hesitate to contact us. Comprehensive children’s dental care at Evan’s Dental can help your child attain optimal oral health for life! Our highly experienced dental professionals based on the Gold Coast take extra care with our youngest patients to ensure that they forge healthy oral habits for life. At Evan’s Dental we recommend that children visit us on their first birthday or when their teeth first start to come in- whichever comes first. Although primary teeth are eventually lost to make way for adult teeth, they play a highly important role in the development of your child’s smile, and as such should be looked after with great care. This is why it is highly important to brush your child’s teeth morning and night, visit our Gold Coast dental practice every six months for a check-up and never put your baby to bed with a bottle of sugary drink (such as juice, cordial, soft drink or milk). Do you want your kids to create healthy dental habits? At Evans Dental we teach children how to care for their smiles for life. We take a friendly approach to education with children and understand the importance of teaching them proper dental care from the start; after all they will use these skills for life. The qualified team at Evans Dental believes in starting oral health care early in a child’s life. For this reason we offer children’s dentistry treatments to give your child the best chance for a lifetime of healthy smiles. To discover more about our children’s dentistry services, or to arrange an appointment at our dental practice located on the Gold Coast, please contact us. Do you shy away from the camera or social events because you are ashamed of your teeth? Evans Dental has your solution! If you are embarrassed by missing, discoloured, bent or crooked teeth don’t hide away – visit Evans Dental for a truly high quality and efficient answer to your dental woes. At Evans Dental on the Gold Coast, we understand the stress, anxiety and lower self-confidence that can be caused by a misshapen, discoloured or gap-ridden smile. This is why we have compiled only the best and most effective treatments to allow our patients the best possible result every time. At Evans Dental, we are experts in cosmetic dentistry, and as such can craft, whiten and straighten your smile to perfection. Our cosmetic treatments can repair and recreate your smile to repair gaps, broken or chipped teeth, stained or even misaligned teeth! Improving the result of your smile means enhancing not only your appearance, but helps to create higher self-confidence and improve your overall well-being. At Evans Dental we know how distressing losing a tooth can be, which is why we provide several solutions to your tooth loss, both permanent and temporary! It is important to treat missing teeth quickly as gaps create an easier breeding ground for bacteria which can lead to periodontal disease. The remaining teeth also move to close the gap – which means you could be left with a jagged and misaligned smile! At Evans Dental on the Gold Coast we are committed to your oral health, and strive to provide our patients with high quality results every time. For more information on our treatments, services or to book an appointment, please do not hesitate to contact us.